News broke this morning that construction giant Carillion is to go into liquidation. The company employs around 40,000 people worldwide, around half of them in the UK, and is one of the biggest construction firms in the UK. 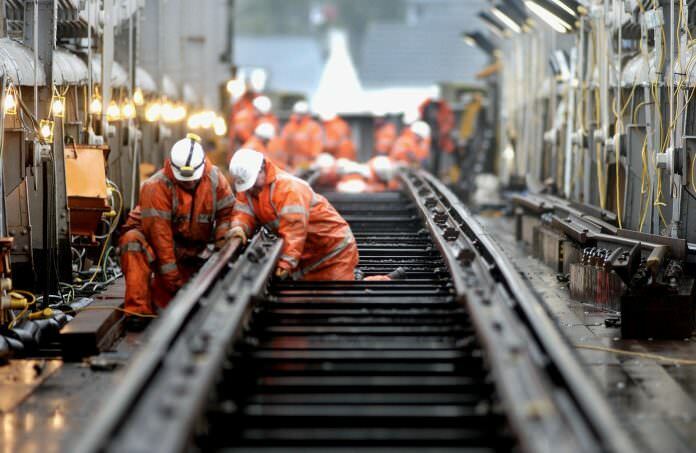 But in the rail industry how does it compare to rival firms? We’ve dug out data detailing Network Rail’s top 20 suppliers for 2016-2017 to see how it stacks up against other major contractors. At the top of the list sits a number of familiar names in construction and engineering, followed by an energy company to support the country’s growing electrified network, and some high-profile joint ventures. You’ve also missed out Furrer+Frey who are applying new electrification equipment for Network Rail to electrify the Great Western Main Line and Cornish Main Line. And F+F working alongside Network Rail also replacing the overhead wires and overhead equipment on the Great Eastern Main Line and Southend Victoria line that the overhead wires were first installed and electrified in the 1950-1960’s and were powered on 1500v DC before converting to 25000v AC. In which the electrification on the GEML went to Colchester, Ipswich and Norwich along with branch lines in Essex such as Harwich Town, Clacton-on-Sea, Colchester Town, Walton-on-the-Naze, Braintree, Wickford-Southminster and Romford-Upminster lines where electrified in the 1970’s & 1980’s that Electric multiple unit trains replaced the Diesel multiple units. Except for local branch lines in East Anglia (Norfolk, Suffolk and Cambridgeshire) were not planned to be electrified and DMU trains were still ideal for the local lines. Aswell the Marks Tey-Sudbury branch line in Essex that also wasn’t planned for electrification and instead used DMU trains. Which Abellio Greater Anglia are ordering new EMU and Bi-Mode rolling stocks to replace the current ageing rolling stocks aswell Class 170’s, Class 360’s and Class 379’s rolling stocks that are also to be replaced by new trains in few years.